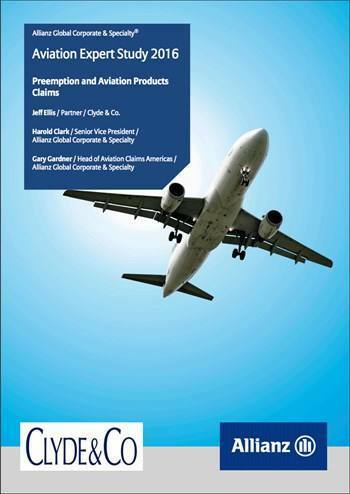 Federal preemption of aviation safety standards is a firmly established legal defense that has been widely accepted by numerous courts throughout the United States. When this defense applies, it fundamentally alters the manner in which a claim is litigated and resolved. To understand its import, one must consider there are two basic types of aviation safety related claims instituted by plaintiffs. One is a negligence type of claim which is brought in accordance with a common law "reasonable care" standard. The other is a claim alleging some form of "strict product liability." For common law negligence claims, juries must decide whether the defendant acted "reasonably." When a trial judge instructs them how they should go about making this decision, they are told that the defendant's compliance with federal standards is just "some evidence" that the defendant's conduct was reasonable. The jury is told that they decide what is considered reasonable and whether the defendant's conduct meets that standard. In a strict product liability claim, the jury is told that a manufacturer, distributor and/or retailer must be found liable if they find that the product (or component part) in question has a "defect" which contributed to the accident. When a trial judge instructs the jury how they should go about deciding whether the product is defective, they are generally told that the Federal Aviation Administration’s (FAA) determination that the product is safe is also just "some evidence" that the product is not defective and that, irrespective of what the FAA concluded, it is the jury which has the ultimate authority to determine whether they believe the product to have some type of defect.